From august 11 to 14 we have a Biblestudyweek with friends of us from Arad (Israël) and then they give also a few seminars on august 10, 17 and 24. So maybe there is a combination possible? Kind regards, Wim, Hilde and kids. THIS IS HEAVENLY MUSIC. FILLED BY THE HOLY SPIRIT OF ALMIGHTY FATHER GOD. No matter how well we know and fololw God, we can always ask him to increase our awareness and improve our obedience. Jesus echoed one of these requests in the sixth beatitude, God blesses those whose hearts are pure, for they will see God.’ -LASBPsalm 86:11-14 is considered a prayer within a prayer and we are encouraged to commit this one to memory and use it often. Great song, mom! I can’t register a ‘like’, but I want you to know and say ‘Thank you’ to you. Thanks for visiting Switzerland! Your music is a huge blessing for us! Thanks for uploading your album and the chords. Amazing! I am friend with Hadassah from Holland and she told me about you and your songs. I am going to play them in the morning in my home. She is telling me that it would be a blessing. I wish I could play them right now, but it is mid night here in Pakistan and I am waiting for my family to wake up so I can play them. Love Prayers and Blessings from Pakistan! Thank you so much for your service to Messiah’s bride in sharing your gift of music! Wonderful, thank you! Shalom! On Feb. 6 – Feb. 23 2015 You will be on Tour in Switzerland. Could You please give me more Information, which Cities You will visit (adress + time)? Hi James, it was nice to met you and your beautiful wife LIz, I enjoyed that night watching and listening to you. there’s so much joy in me while listening to your music. thank you for sharing with us your gift of music..you are truly a blessing ! No matter how well we know and foollw God, we can always ask him to increase our awareness and improve our obedience. Jesus echoed one of these requests in the sixth beatitude, God blesses those whose hearts are pure, for they will see God.’ -LASBPsalm 86:11-14 is considered a prayer within a prayer and we are encouraged to commit this one to memory and use it often. Great song, mom! Hello James, Featured Your video Great is Your Faithfulness (Psalm 92) on my Daily posting this morning on Facebook Pages,twitter,Pinterst,and Today’s Journey. Beautiful Song and video. Love your ministry in song and video. 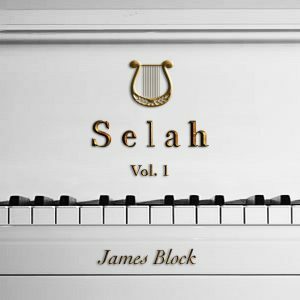 I was praying today, asking the Father for beautiful worship music, and I found your songs. I am so thankful. As we have had our minds renewed by the word, we have realized that a lot of the worship music we listened to before was not correct as far as Biblical truth. To find Scripture put so beautifully to music, well, what a delight! May our Father bless you as you minister to His children. Thanks for writing. It is great to hear that you are so blessed by the music and that the Father led you to this music when you asked. There are more songs coming! Blessings to you and Liz! I’m originally from Kelowna. It is about 4 hours east of Vancouver if you have never heard of it. I hope you will make it to Israel someday especially since you are learning Hebrew already. 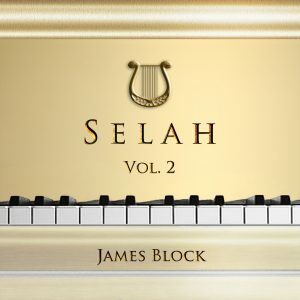 I’m not sure if you noticed but the second Selah album (Volume 2) is finished and available on the website so now there is 3 albums. The lyrics and chords are on the website as well but I don’t have the Piano sheet music at this time. Maybe sometime in the future. YAH bless you for sharing your awesome worship and praise music ! Where can I buy your music videos and CDs ? Please give me the chords for Isaiah 40 song. I play most of ur songs on guitar and also sing it. Shalom my Brother and Sister in Messiah! Wanted to leave a comment on how much of a blessing your music has been to me. I was searching for Messiah praise and worship music and found you on Chavah Radio. I was instantly in love with the praise you offer to Yahweh through your music. It is so refreshing to hear praise and worship music according to Scripture and using the true name of Yahweh. I play all your songs almost daily as they truly minister to me; with my favorites being Overcome, Psalm 125, Great is Your Faithfulness and Psalm 90. I really love the piano and violin use in your songs-so beautiful! Thank you for your faithfulness to your gift and I pray you will continue to bless us with praise music as Yahweh blesses you through word and song. Can’t wait for the next CD! Be blessed my brother and much love to you and your lovely wife. Wish I was there in the beautiful land of Israel!-smile…Have a blessed day! Shalom James and Liz, we met at the conference, I am the lady from Sri Lanka. Please send me the pdf of the chords for the CDs to my email. I bought the CDs at the conference. Keep in touch. i want to download great is your faithfullness and cant …… why is this so? is it available? It was nice meeting you in Wetzikon/Switzerland this morning. You are a bearer of much blessing to the ISRAEL nations, as you are also a descendant of Ephraim. Praise HIM! We had an all age family service this morning and showed your youtube clip of Psalm 139 song during a prayer time. It was moving, I have downloaded your songbook and intend to use with our worship band. God bless you and Liz and the work you are doing in Jerusalem. We will remember you both in prayer. Thanks for writing! I’m glad you discovered the music. I’m originally from Kelowna, B.C. not to far from you! I hope to make it to B.C. Canada sometime next year if we do a tour in the Northwest of U.S. It would be great to also do a worship meeting in Vancouver area. I’ll let you know if we end up going next year. I pray you and your wife are well. Please let me know if you sell your music on cd. A poor dear sister I know is a shut-in and has no access to a computer and I would love to be able to send her your beautiful Yah inspired Psalms to lift her spirit. I look forward to your next album! What a delight your music is … I praise Yahweh for you both and for your music. Blessings to you both and to your ministry! Dear brother James, may Yahweh bless you richly! Thank you for these wonderfull songs, I am sure they are an offering that is well pleasing to Yahweh! Your songs are such a blessing to us! Thank you! Yahweh keep you and make his face shine upon you! Thank you so much for your great songs and restoring the beautiful name of our father. I was looking and hoping to find music like this. Shalom! GertJan from the Netherlands. 11 OVERCOME (PS 18)is my absolute favorite! Beautifully done brother James! Praise The Holy King!!! Yours songs are as Awesome as the one you sing about! I sign to all of your songs in 3 assemblies and they love your songs and so we are going to start buying your CD’s soon. It was awesome ysesterdayevening, we are so blessed! Todah raba. Hope to meet you soon in Jerusalem. so appreciate and love the Psalms in song. I played your YouTube playlist for hours. I was wondering if you could send me the chords to psalms 121? I didn’t see it on the download. Thank you guys, I just discovered your music and it’s beautiful and touching! Psalm 121 will be on the next album called, “Open the Gates”. I hope it will be done by July 2016 and then soon after I will have all the chords available for download. hey james do you consider yourself a messianic? Thank you for your music of praise. We sing and play your songs for our nightly family worship time. Could you please post the tour dates for the USA, would very much like to come to one. 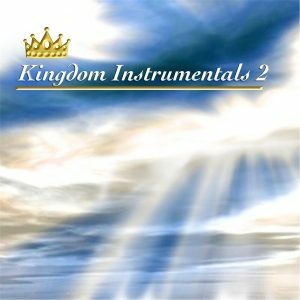 Thank you for these amazing worship songs.Yahweh bless you inspire you to bring forth more. DEAR BRO JAMES, Shalom.i am writing from Cameroon IN THE CITY OF BUEA.Its a wonderful pleasure knowing people like you, indeed i have being blessed with the few of your songs in my possession and would really want more.may Yah Almighty continue to blessed you and inspire you with more praises.Wishes to have brothers and friends of your category to reach people like us who live in the dark ages of lost, lust, blindness and poverty.YAH barak…. 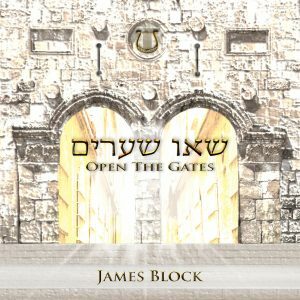 James, thank you for your latest album, Open the Gates. I listen to all your albums regularly, they are my favorites and have been since they came out. Having your sing Scripture feeds my soul and spirit and makes my faith grow and best of all, brings me closer to YAH in a way I never knew. That is most precious. Will you have time to provide guitar chords for this latest album? Thank you for providing the lyrics. May YAH bless you and your lovely wife. Shalom! 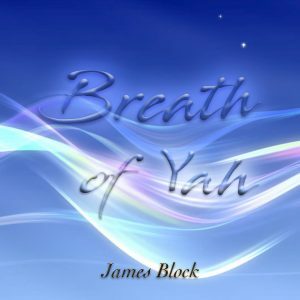 love your music for YAHWEH and his son YAHSHUA .YAHWEH BLESS from your brother james from grand falls ,new Brunswick ,Canada . Wow! Praise YHWH! My family and I are in the mountains of Idaho. Our nearest fellowship is two and a half hours away. We have listened and played your music for a couple of years.Your live broadcast is a tremendous blessing. Thank you for your service to YHWH to uplift HIS people. 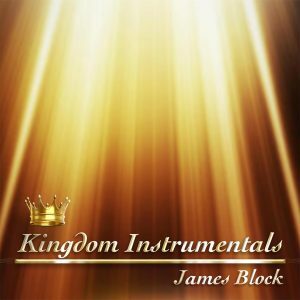 We thoroughly enjoy your “scripture music.” We appreciate the fact that your lirics are based upon the scriptures only. We also appreciate the fact that you do not use words like holy, Jesus, and such as they are all pagan, but then that is the way of the world’s religions. Thank you for all your “Scripture based” songs with Words that are truly inspiring for all of us. Jos 23:7 so as not to go in among these nations, these who remain among you. And make no mention of the name of their mighty ones, nor swear by them, nor serve them nor bow down to them. We all need to study the origins of the names that aare traditionally used as substitutes for the true Names. We are told to worship Him in Spirit and in Truth. Joh 4:23 “But the hour is coming, and now is, when the true worshippers shall worship the Father in spirit and truth, for the Father also does seek such to worship Him. You have made a difference in our lives in an important area that we really needed. Yah bless you. Keep up the good work!! We are still waiting on the Father to provide another place to have the worship gatherings. The equipment that got stolen wasn’t ours but we will still need some sound equipment wherever we end up doing the meetings. Recently a friend introduced me to your songs. LOVE, LOVE them. It is so important to infuse scripture into our minds. May Yahweh bless you immensely beyond your dreams. I introduced your songs to our Messianic Keheilah. Indeed you have blessed many people by allowing the chords be downloaded free.. You have indeed bought wisdom and did not sell it.. WHich your efforts and strength had bought it and freely you give. God bless you. It helped me a lot with such an economical situation and album songs are quiet expensive. This i say are truly SPirit led. I am a disciple of Yeshua and I am blessed by this! Be Yahweh lifted up in all the efforts and accomplishments you do!! Loved the worship!! Such a blessing and the Keith Green was a fun surprise!! Such a blessing to hear your worship. We are blessed by it. We hope to worship together soon. I was wondering if you ever plan on visiting America, Yahuah willing? My wife and I were touring there last summer and the summer before. I’m sure we will come back sometime, I just don’t know when. I guess it also depends on what doors open in America. Thank you for sharing. I am very encouraged to hear that. We definitely had a special night of worship during Passover. To be on the rooftop was very unique and much better than being stuck in a building. Hope to see you again next year! Thank you for sharing your anointed music on YouTube, it has blessed me and many others very much. My family and I so enjoyed meeting you. Thank you for the wonderful praise and worship evening. To sing along with you in person, to glorify Yahweh the Father and Yahshua the son was a true blessing. Till we meet again in the city of the great King. Your brother in messiah, David. Dear James & Liz! I really enjoyed the worship event in Pretoria. For me a wake up call not to neglect praise&worship unto YHVH! Hope to see you again soon. May you be blessed in abundance. Shalom! Any plans in the near future for a tour in Ontario? Your music has been such a blessing! Hi JAMES, Keep up with the good work of YH and may YHWH bless you. Also do you have a Bitcoin address, I would like to donate some bitcoin to you and you can sell it for cash, as I do not have access to paypal funds at the moment. we received the bible and other references you sent via exactly b. tequillo, we are so thankful for this book, it help us a lot to know the reality, YAHUAH bless you more. i am teodolfo L. valencia of San Jose, Taytayan, Bogo City, Cebu, Philippines. my wife and I are Germans and we moved to Paraguay last years following Gods word. I wrote a little something about the hebrew alphabeth and during readingnthe psalms Imgotmthe idea of building up a small personal database, so that we will have at least some songs for every psalm and on the search I found your great work. Thanks for giving music to Gods words. Chorei muito escutando o video,era o que meu coração estava precisando!Amei!Pois também amo os salmos.Sei que fui muito abençoada.Obrigado por me enviaren o email com o vídeo.Que Deus os abençoe abundantemente. Such a great album, a real blessing. So glad I bought the CD, the sound is epic. Praise God for inspiring this artist to paint such wonderful pictures with the words of our Lord. Amen! Just beautiful and so refreshing are the sounds of the Ruach HaKodesh in these heavenly songs… with loving gratitude…. James and Liz, this worship music is transcendent. Just discovered your music and have worshiped deeply with it. On Friday, I spent nearly all day worshiping with your songs on Youtube…an amazing thing started to happen as I worshiped with you – as I sang along with you, songs of the Ruach began to flow out like Rivers in a way like I can never remember. It was amazing. I so believe that singing the Word, singing the Psalms, in the anointing of the Ruach as you do is powerful beyond our understanding. I remember many years ago when there was a revival of “Scripture Songs” among believers and I believe it is the reason there was so much “revival” during those days in the ’70’s and ’80’s. I believe your music has that same anointing for this generation – praying we will soon see Him, Yeshua haMashiach. Bo, Yeshua! Blessings and love over you! Highway to Zion Ministries, Inc.
Hi James, I don’t suppose you have the notes for your songs to play on the piano? Your music is so very touching and has brought much light to my life. Thank you and nay Yah give you nightly of His favour. Question: is there a place where I can purchase your YouTube videos or pay to download some of them?